Thanks for a great fair! We won Favorite Food at the Fair 2016! 12 Days to be exact. 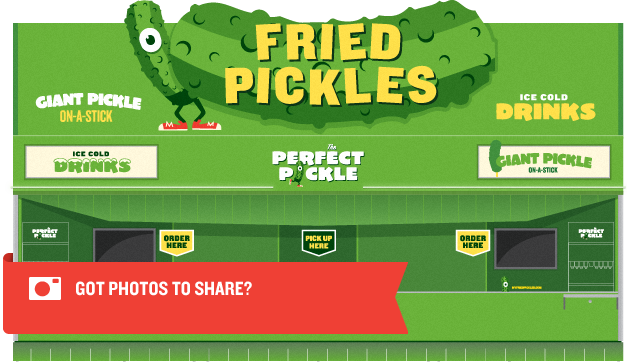 Hurry to the fair and enjoy Perfect Pickles in each and every way. Deep fried pickles with Cream Cheese in the middle (and Ranch of course). A big fat crisp and delicious pickle on a stick. Not fried, for you healthy types. 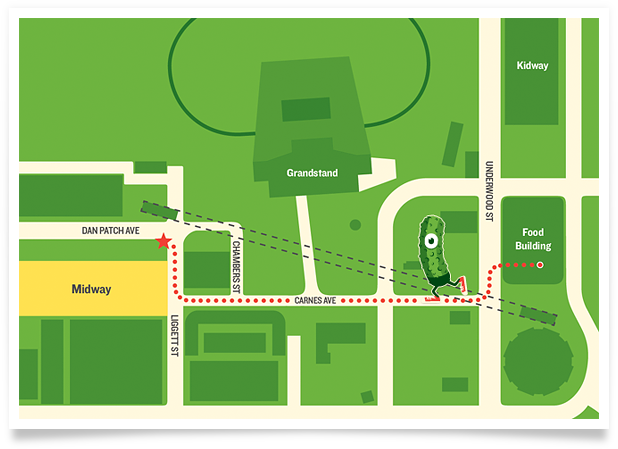 Look for our bright green booth at the corner of Liggett Street and Dan Patch Avenue. Right next to the Midway entrance and the new Heritage Square. Hey Guys! Can't wait to meet you at the fair this year. I'll be the one-eyed dude stuffing my face with pickles. Come say hi, and take your picture with me at the booth! Want to sell our fried pickles? We now manufacture them and sell them through distributors in Minnesota and Chicago. Visit kwffoods.com for more information. 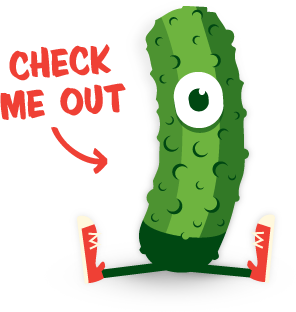 Fan us on facebook ©2018 The Preferred Pickle. All Rights Reserved, and all that other legal mumbo jumbo.